A Fresh Design for ACT’s New Website! What about ACT’s Commitment to Serving BC? ACT’s website retains the most comprehensive array of resources specific to the needs of the B.C. autism community, organized into a special ‘landing page’ www.actcommunity.ca/bcresources/. As ACT has no funding to maintain the above resources, we are very grateful for the generosity of our volunteers and our donors who have come together to ensure that ACT can continue its role of providing families and community professionals with independent information. As a federally registered Canadian not-for-profit society, ACT can provide tax receipts for donations over $10. ACT’s Charitable Tax Number is #861691236RR0001. We welcome Stephanie Porter as ACT’s new Event and Administrative Coordinator. Stephanie has a strong background in logistics and is a sibling of an adult with ASD. She has been ‘in-training’ for the past three weeks and is ready to provide support to our callers and event registrants. Stephanie will be working with Deborah Pugh, ACT’s Executive Director; Ryan Quiring, Website Officer and Linda Leung, Financial Controller to carry on ACT’s important work. This summer ACT is fortunate to have two university students, Patrick Dwyer and Nicole Provost, who are doing a tremendous job of captioning our online videos to support the deaf community and to make it easier for those who struggle in English to follow the presentations. Patrick and Nicole are also updating our Autism Information Database resources, adding new information resources. ACT’s Board of Directors would like to extend its deep appreciation to the seven members of staff who are leaving ACT at the end of this week to join MCFD’s new operation at the Pacific Autism Family Centre. Neetika Bains, Louise Broadley, Jeff Hoffman, Christine Hung, Selina Lai, Erika Morrison and Andrea Tai have made a tremendous contribution to the BC autism community through their work with ACT. Over the past few months they have worked with the commitment that is typical of ACT’s staff, covering all their regular duties as well as preparing resources to transfer to MCFD, while ensuring that ACT’s strong framework of information and training resources are in top form. They will be greatly missed at ACT but it is very positive that they will continue to provide the autism community with their skills. We wish them well in their future careers. Parent Bursaries for Live & Web Streamed Events – Register Now! 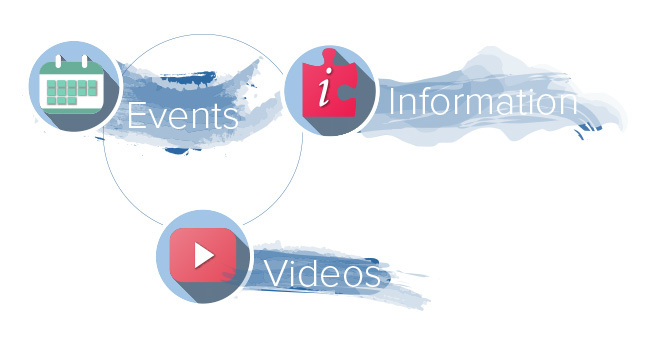 Did you know that parents can attend many of ACT’s events, either in person or via web streaming, for only $35 a day (which can be covered by autism funding)? For more information about MCFD’s bursary program see www.actcommunity.ca/eventbursaries. ACT is hosting a number of live and online training this summer and fall. Register soon to ensure your seat and take advantage of early bird rates and bursaries. At ACT we know that it is a challenge for some to come to Vancouver to attend an event in-person, so we have been working to make more of our events available for you to watch from your own device via live web streaming. We have four great presentations available for registration. MCFD has provided ACT with funding for a bursary program for parents and caregivers of children with autism to attend ACT events at reduced registration rates ($35 a day*) until March 31, 2018. Seats will be filled on a first come, first registered basis. Each parent is eligible to receive one in-person event bursary up until March 31, 2018. Additional bursaries are available to register for web streamed events. *Learn more about how to register using the MCFD event bursary program. Introduction to ASD – Practical Applications – POPARD – both sessions full and sold out! Want to learn about positive behavior support, solving sleep problems or navigating puberty? FREE Autism Videos @ ACT (AVA) offers self-study opportunities available online! Watch 28 practical, inspirational online videos this summer on a wide range of topics. ACT will hand over the management of the Registry of Autism Service Providers to MCFD as of midnight June 30, 2017. MCFD has directed us to remove the RASP listing from our website and to redirect families to the home page of MCFD’s new AIS website: www.gov.bc.ca/autisminfo. ACT has approved 85 applications from professionals seeking to join the Registry of Autism Service Providers since January 2017, as compared to 40 for the same period last year. This is the largest increase in RASP numbers since ACT took over management of the service in 2005. Potential RASP professionals responded in overwhelming numbers to ACT’s deadline of May 15th, if they wanted a decision prior to the handover. When compared to the number of applications received until June 15, 2016, this was a dramatic increase of over 78%. Approvals are up 113% in this period, reflecting the commitment of applicants to have all their documentation submitted in time, which allowed for faster processing. ACT appreciates the tremendous efforts of Louise Broadley, Manager of the RASP, and Jeff Hoffman, RASP Administrative Assistant, for ensuring that families will have access to as many professionals as possible, while MCFD is establishing their new service. RASP service providers may leave the RASP due to retirement or moving to a different job or province. Since June 1, listings for Carla Berlingeri, Lisa Fishman, Ali Henderson, Claire Hochfeld, Corine van Staalduinen and Salma Wahdan have been removed from the RASP. After nearly seven months of waiting, ACT was informed on June 26th that MCFD will not discuss compensation for the significant efforts ACT expended in submitting two comprehensive proposals in the fall of 2016, in response to a MCFD request. This point blank refusal comes after MCFD indicated in December that compensation would be discussed. These proposals were in response to a provincial government RFP that they cancelled in December 2016 – three months after the submission deadline. MCFD acknowledges that ACT’s proposal was the strongest of those submitted. The public explanation for cancellation was that government decided to amalgamate a number of autism-related services to cut costs. In this case, ACT should be compensated for its time and resources wasted, as the RFP should not have been issued. ACT also did not receive compensation for transitioning its service to MCFD which has required extensive efforts. For background information on ACT’s concerns about the lack of consultation with the autism community in this process see http://www.actcommunity.ca/transition/. Regardless of the rationale for cancelling the process, the refusal of MCFD to discuss compensation and the delay of nearly seven months in informing ACT of this position, exemplifies, from ACT’s perspective, the lack of respect accorded to the work of not-for-profits in B.C. by the provincial government. Review the RFP decision-making process for this contract and make it public. Publish the business plan for the new AIS service and an analysis of the real cost of transferring parent support services to government from a community service provider at its new premises at the Pacific Autism Centre in Richmond. Conduct and publish an independent survey of the levels of parent and professional satisfaction with the new service, by June 2018. For more information visit the introduction to Mindfulness event page on ACT’s Special Needs Community Events listing. Parents of a child or children with autism and who live in the Greater Vancouver Regional District are invited to complete a 10 minute online survey about parent information needs and perceptions. This research is being conducted in partnership with Royal Roads University. All submissions are confidential. Summer is finally here! There are several fun summer camps for teens on ACT’s Special Needs Community Events Listing, including those focusing on developing social skills for employment and workplace readiness. Acting Antics is a fun and inspiring program that provides the tools for developing social understanding in individuals with autism spectrum disorders (ASD). Head Start is an innovative, fun and engaging summer camp for youth between the ages of 14-18 who would like to learn about employment, and opportunities that await them after high school. This social skills camp is specially designed to bring youth (ages 14-18) together to connect with peers and build friendships. Based on the PEERS® curriculum, this camp focuses on friendship skills and teaching important social behaviours that will enhance workplace readiness. During this camp children will learn social skills and collaborative LEGO building techniques in a fun, activity based day camp. There will be freestyle LEGO builds, LEGO games, making a pizza lunch, LEGO crafts and, of course, outside play (it is summer after all!) Autism Funding may be used. This summer camp is an introduction to coding, and will teach participants the basics of coding as they work together to build and program a robot. They will also work on problem solving, collaboration skills, conversation skills and self-management in the process. Autism funding may be used. Do you have a community event in B.C. you would like to share? 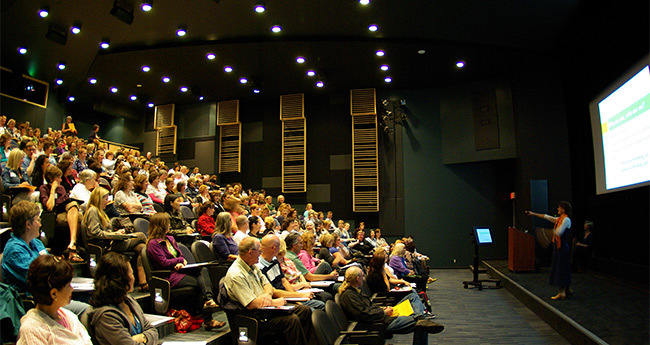 ACT lists workshops and conferences in B.C. related to autism and other special needs that are provided by local agencies and organizations. Submit events to the event submission form for listing on the Special Needs Community Events page. The family-school liaison coordinator will provide families, who have children with ASD throughout the province, with support from a professional who is not directly involved with their child’s education or care. This position will act as a resource and provide a liaison between families, the school system and community resources. This entry was posted in News on July 4, 2017 by ACT.